An all-women team came together to produce one of our favourite @home fragrance and body care ranges. Botanique came about because we wanted to do something homegrown and proudly SA! Being an all women collaboration just makes this range more beautiful. Given that botanicals are a big trend right now, it was fitting that this range should delve deeper into this world of botanicals. The result was a deconstructed, artisan feel that embraces the beauty of wild nature, full of rambling florals and intoxicating natural scents. 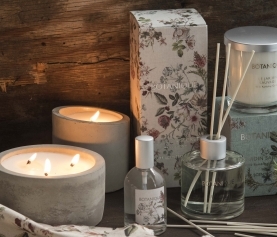 Three fragrances were specially developed for this range. 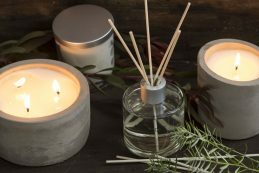 Working closely with Charisma Candles, we focused on developing fragrances that are more experiential, the kind of scent that takes you to another place. Wild Garden (Jardin Sauvage) takes you on a walk through a wild, rambling, overgrown garden full of wild flowers and fresh greenery. Secret Garden (Jardin Secret) invites you in to an old secret garden with long forgotten, nostalgic blooms and undertones of jasmine and geranium. Frangipani (Fleur de Frangipanier) transports you to adventures in far away lands with a heady, exotic mix of frangipani, vanilla and tonka bean. French names were used to pay homage to the specially imported French fragrances that were used in each blend. 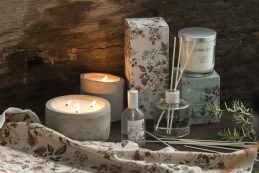 Louise Vorster, trend inspiration and product developer for @home, wanted to create a unique home fragrance range that was both very feminine and very natural. 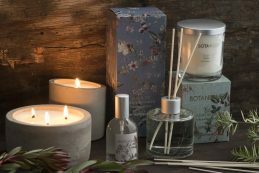 From selecting specific French fragrances and working closely to get the right blend to working closely with designers to create the right feel, the final product struck just the right note between exotic and authentic. 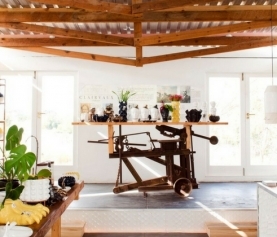 TFG textile designer Carina Liebenberg worked closely with Louise to create the artisan look botanicals used on the Botanique Range packaging. Scent dictated the colours and flowers that would eventually be designed with little bottles of French fragrance being the first step in the creative process. Once the botanicals were designed, graphic designer Teresa from Pixel Trees translated the design into packaging layouts, bringing a touch of silver foil for a bit of added glam! 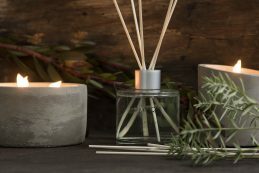 Raw linen was used as a base for a more natural and tactile texture to our boxes while raw concrete containers were used to bring authenticity to the candles. 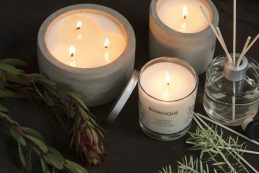 We are proud to partner with Charisma Candles who are based here in Cape Town. Allison at Charisma was instrumental in the fragrance development, production and packaging of the entire range. All of their products are carefully hand poured and packaged using local employees, trained by Charisma, giving them the opportunity to support their families. For every woman they employ, they are helping to supporting about 4-5 people at that employee’s home. Behind all the creative work there was a strong planning and buying team to ensure this range made it to our stores. Karen Brumfield, @home head of buying and Cindy Dirker, @home buyer, pulled out all the stops to make sure the dream of Botanique became reality. Planner Ruwayda Tar Mahomed and Allocator Domonica Lindt ensured everything ran smoothly while Premla Bam supported the team tirelessly, arranging everything for the arrival of the range to our stores, including product shoots. 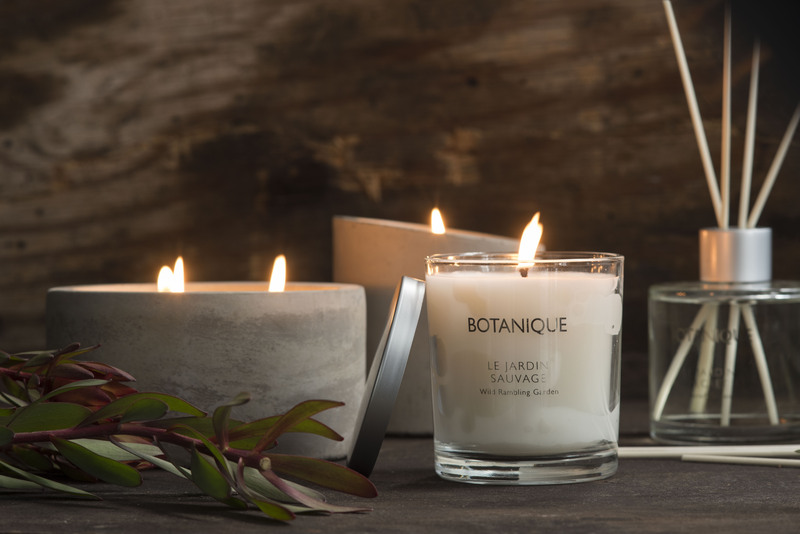 Thanks to such a wonderful team of women, the success of this range has already got us designing the second Botanique range, launching in 2019.